All of our plating services for the molding industry are excellent selections for your rubber molds and for the release of plastics. In particular, our Nickel Boron Nitride hard coating is extremely popular with our customers. Our electroless nickel boron nitride coatings(EN-BN coatings) are co-deposits of hard nickel and a boron nitride matrix, which gives this coating both hardness and lubricity. This coating has an extremely low coefficient of friction and wear resistance, and it also provides a high degree of corrosion protection. We recommend using this coating when dimension changes are needed to the molding surface or we can coat the entire part. PFI’s reliable Nickel Boron Nitride coatings are not only high quality, but we differentiate by putting full confidence in our highly experienced metal finishers. 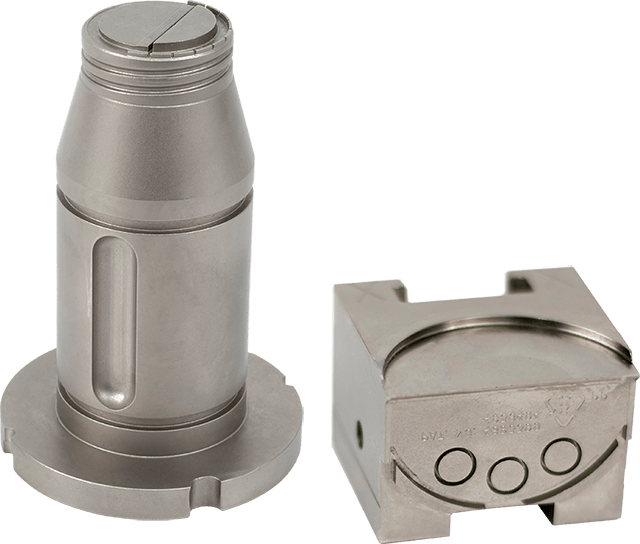 The hardness, lubricity, and low-maintenance that our electroless nickel boron nitride moldings(EN- BN moldings) provide, combined with the expertise of our injection molding metal finishers, is unparalleled in the industry. To learn more about how PFI is a differentiator in boron nitride coatings, check out our article on PFI’s capabilities.